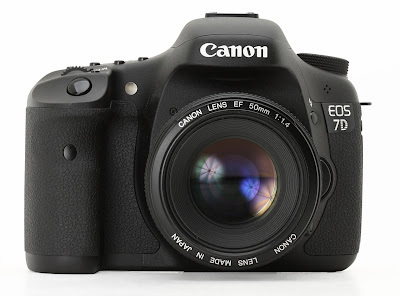 It is looking increasing likely now Canon will postpone the announcement of the EOS-7D Mk II camera until the first quarter of 2014, with perhaps a delivery for the middle of next year. They are way behind on the delivery schedule of their recently introduced EOS-70D camera. This new APS-C model has garnered a lot of interest with the new Dual Pixel CMOS AF technology. Canon wants to see how this new model will sell although most indications are it should be a winner for them. The EOS-7D Mk II will have the same sensor and AF technology. Canon's sales are not doing very well these days, despite the 'devaluation' of the Japanese Yen. They are still having trouble in ramping up sales in China and the newer smart phones with powerful built-in cameras are taking sales away from their lower end point-n-shoot and DSLR models. Canon needs to continue their announcement of newer and more powerful, higher end DSLR cameras to retain the interest and imagination of photographers. The current EOS-7D is almost four years old and the technology is long in the tooth and an upgrade is way overdue. Timidity in the face of uncertainty is rarely a good corporate strategy to adopt.